This 2 day certification program will equip and prepare you to teach the American Cursive Handwriting Curriculum written by Michael and Debra Sull. The American Cursive Instructor Certification Program (ACICP) will be facilitated by Michael Sull and Marie Hornback. 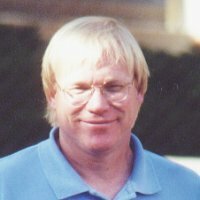 As America’s foremost living Spencerian penman, author of Spencerian Script and Ornamental Penmanship and Learning to Write Spencerian Script, and publisher of numerous educational materials on vintage American handwriting, Michael Sull is recognized internationally as a leader in handwriting instruction. Mrs. Hornback has studied Spencerian writing and American Cursive Handwriting under Mr. Sull’s tutelage. She has spent the last two years teaching American Cursive Handwriting to grades 3-9 at a public classical school in addition to private students. In this class you will use the Coptic stitch to make your own journal. Used from as early as the 2nd century AD, Coptic bindings are characterized by one or more sections or signatures, of parchment, papyrus, or paper sewn through their folds, and attached to each other with chain stitch linkings across the spine. This is a great method for creating books with covers that are individual boards instead of completely wrapped around the entire journal. 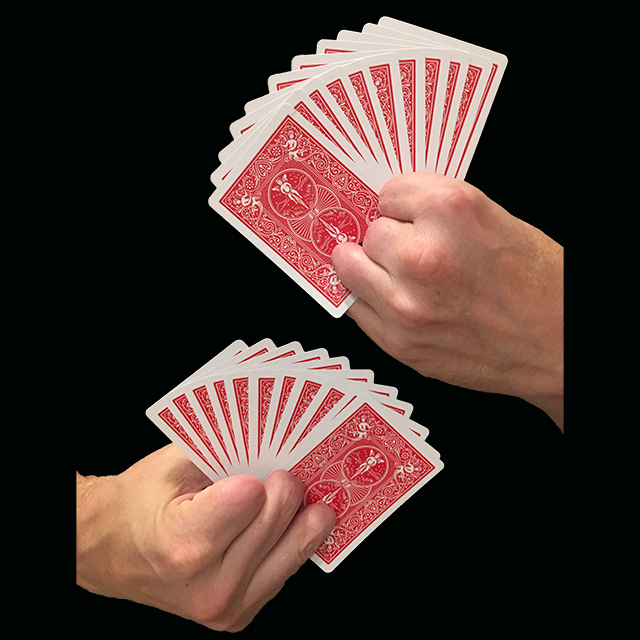 You are basically binding all the signatures and covers together with a connected stitch that holds everything together tightly, but with super flexibility. The pages will open up completely flat and that’s a big reason why this method is so popular! Everything you need to make your journal is provided and pre-cut and pre-drilled so you can focus on stitching it all together. 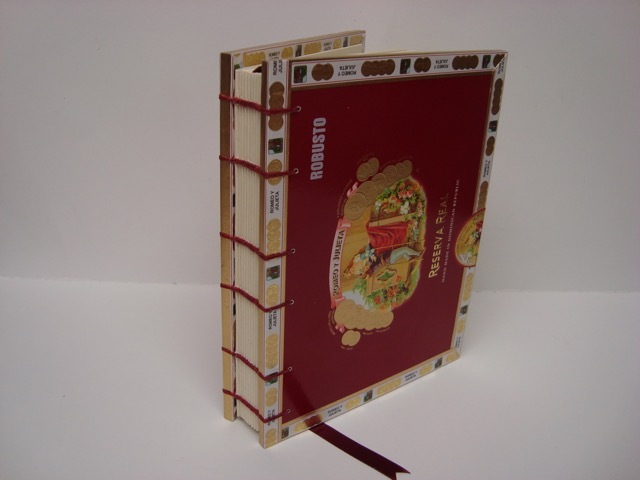 There will be a selection of cigar box covers to chose from and you will go home with a completed journal. 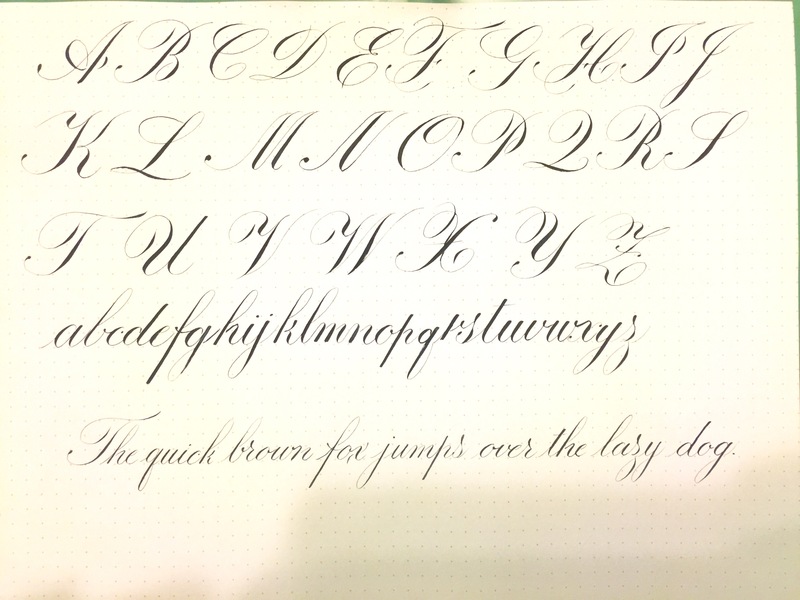 Come learn the basics of line variation and writing with a flexible nib! 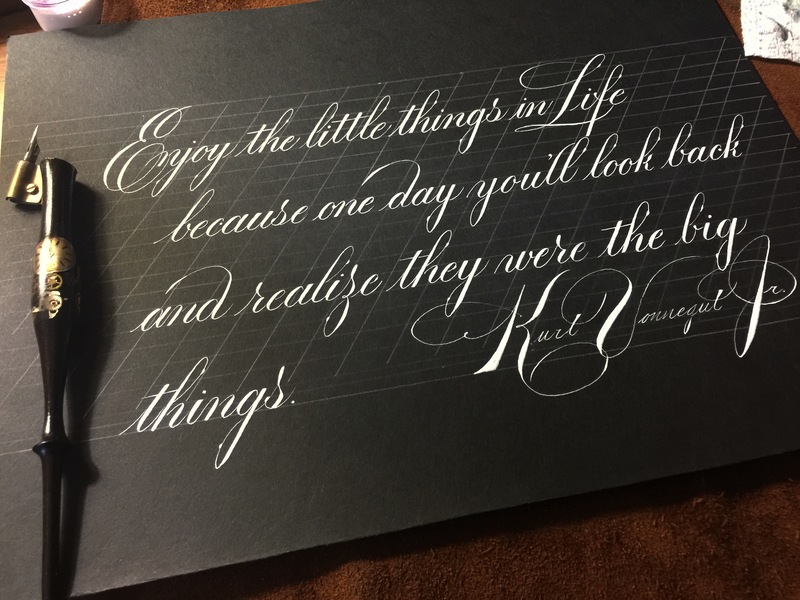 Join Nikola Pang as he teaches you the basics of using a flexible nib. Want to add interest to your writing? This class is for you. Nik will show you how to get the most out of any pen with a flexible nib! This class will provide practical tips on how to use flexible nib pens to add variety and beauty to your penmanship. Learn the longstitch / linkstitch sewing technique and make your very own pocket sized leather travel journal with wrap-around cover in this 90 min workshop. You will also learn about materials and technique basics for other non-adhesive bindings. Fee: $35 All supplies included. 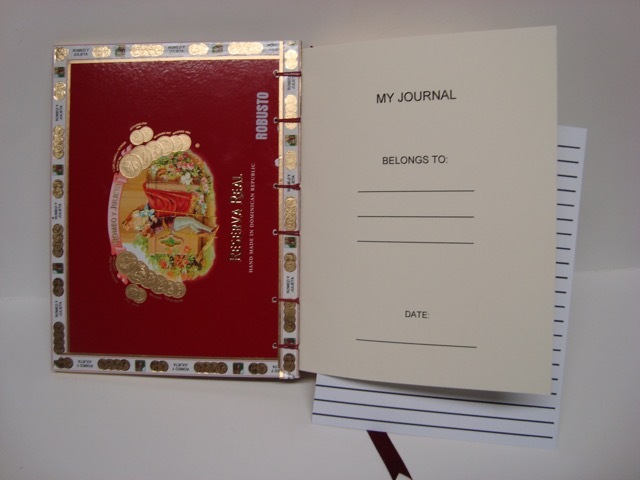 Why keep a journal or a record of one’s life? Why do it with a pen when there are so many great apps available? Come to a writing-intensive workshop in which we’ll read excerpts from other people’s diaries and write entries in various styles to get started on a personal conversation that can be inspiring, beneficial, and possibly a legacy for the future. Please pre-register at wardemote@comcast.net to receive a practice journal at the workshop (type “CPS Diary” in the subject line of the message). Please let me know if you have any questions and whether you are an experienced diarist, an occasional journal writer, or thinking about taking up the practice for the first time. 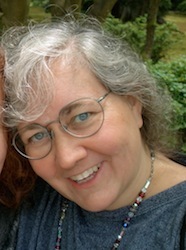 Ruth Feiertag is an editor and independent scholar, owner of PenKnife Writing and Editorial Services, Senior Editor at Regal House Publishing (https://regalhousepublishing.com), and co-editor of Speak and Speak Again (Pact Press, 2017). 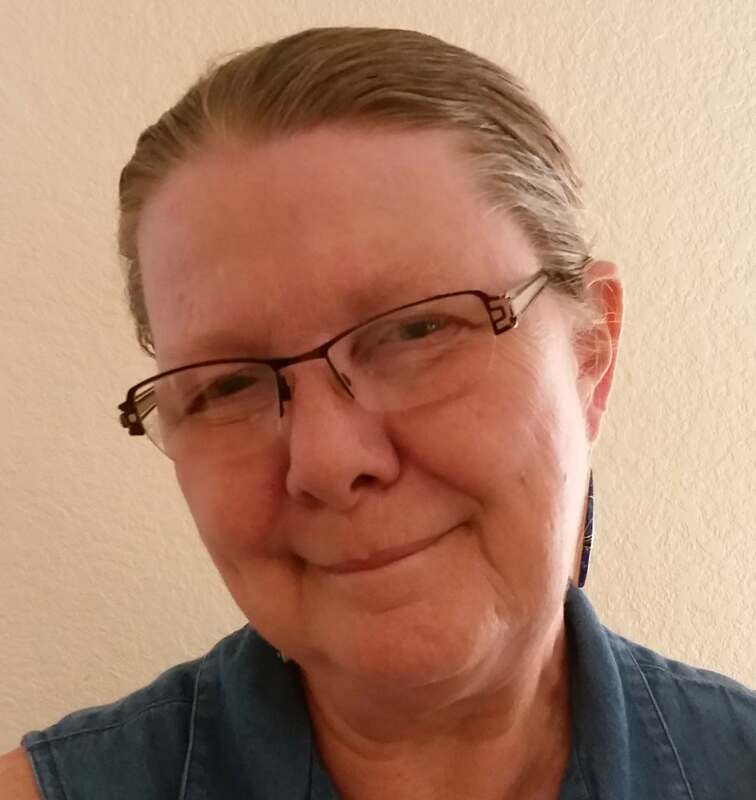 She has worked as an editor, proofreader, and tutor for over thirty years and writes literary criticism on Medieval and Renaissance English literature. All her undergraduate essays were written with a fountain pen. Colorado Pen Show Special Presentation to PENWORLD. Please join us in the main ballroom for this short event. MC'ed by Fountain Pen Day! Fountain Pen Day will MC a Friday night Meet & Greet! Bring your favorite pens, inks and papers for a pen club style meet up with other pen enthusiasts. Public Show with music by Chuck Sull! 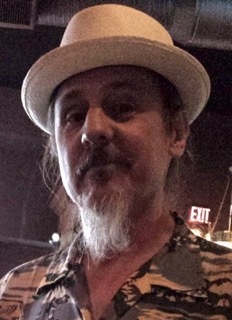 12 String guitarist Chuck Sull will be providing musical accompaniment throughout the day by playing selections from his newest project “Mickey Did It!” as well as from his album “Requiem for the Wolfhound” and other original works. 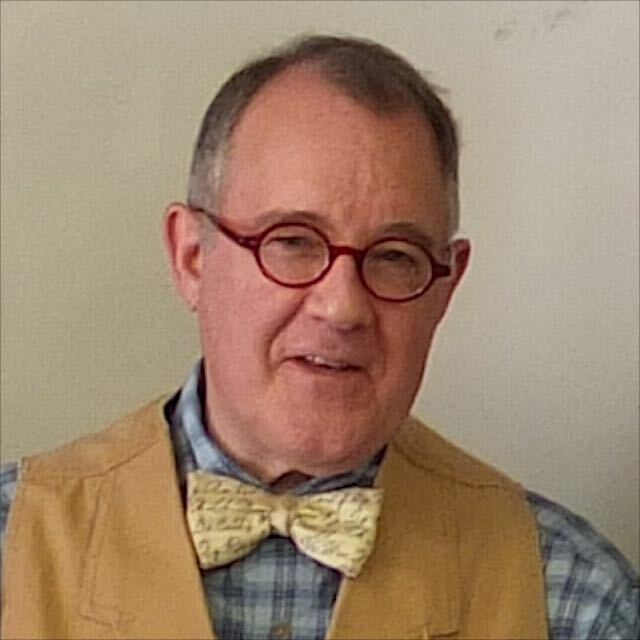 In this hands on workshop, Master Penman Michael Sull will share effective techniques to enhance, refine, and improve your own written identity on paper! More than simply your name on paper, your signature is a representation of who you are and the pride you have in your name. Everyone's personal imprint is a statement- learn how to make yours distinct, impressive, or creative! Join us for this interesting and most useful program! Think Ink is a simple interactive event to help you learn about fountain pen inks and to help you keep your fountain pens writing flawlessly. We'll discuss ink history, what your ink is made of, ink flow and just about everything else that pertains to fountain pen ink. run through your fountain pens. We will not be discussing any specific ink makers, nor will there be discussion about your favorite ink color. The presentation runs about 45 minutes and there will be time at the end for Q&A. 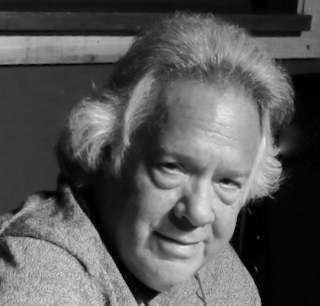 Sam Fiorella is co-owner of Pendemonium and has been using fountain pens for over 50 years. Prior to founding Pendemonium, she spent 15 years selling fine pens and stationery in the Washington D.C. area. 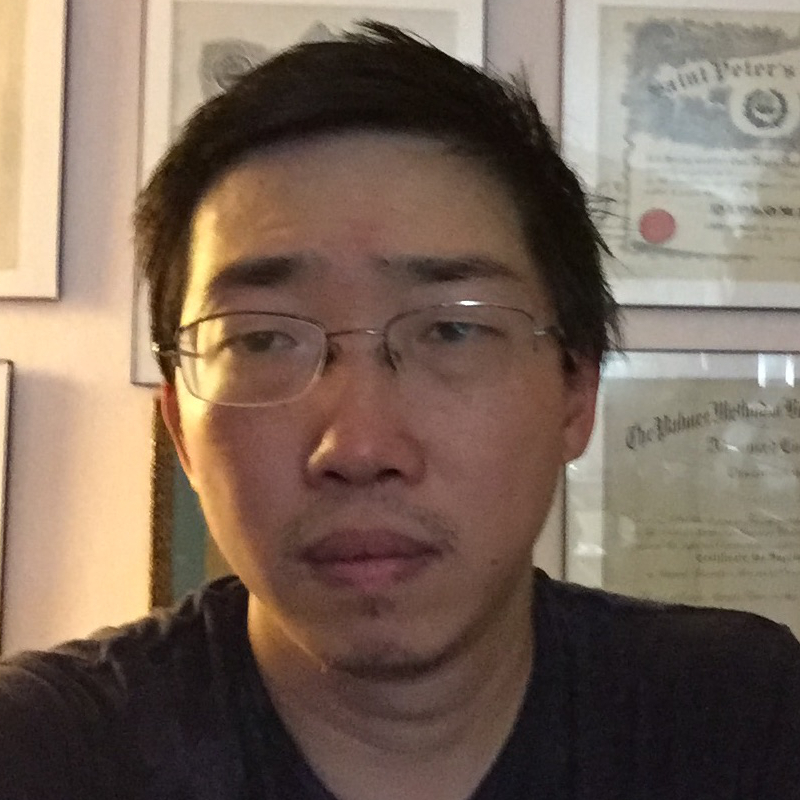 Sam is a member and past president of the Pen Collectors of America and was the Reference Librarian for the Society of Inkwell Collectors for many years. For the curious, her first pen was a Sheaffer cartridge filler received as a gift in 1960! American Cursive Handwriting includes historical background, and all of the detailed information needed to learn cursive handwriting. This book contains teacher guides, student workbook/copybook and thorough lesson plan guides needed for anyone (grade 5 to adult) to improve their handwriting. The Art of Cursive Penmanship is specifically designed for ADULTS and addresses handwriting as an important skill. 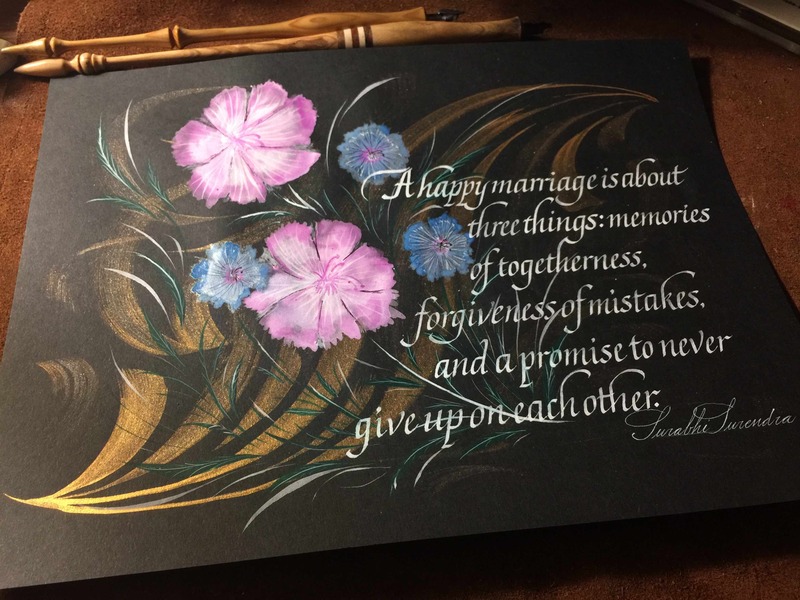 Come learn the beautiful calligraphic style of copperplate script! 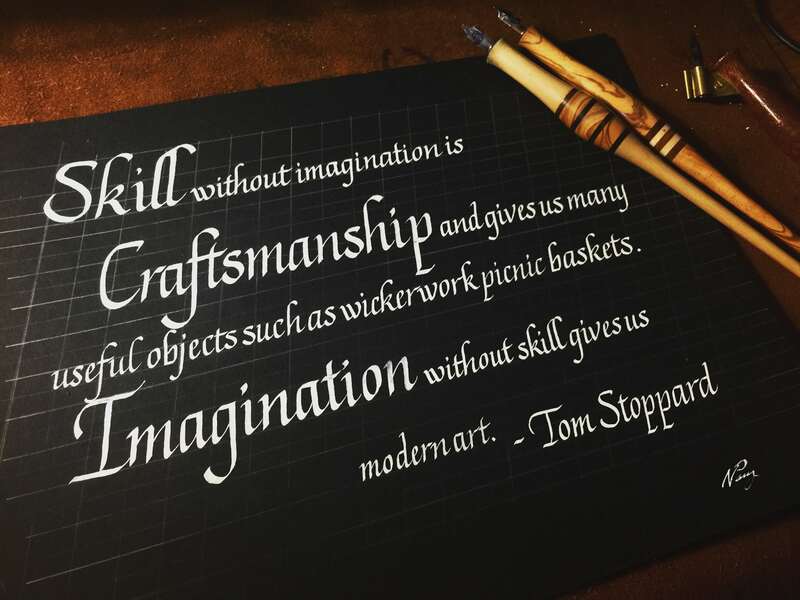 Copperplate calligraphy, also known as roundhand, engrosser's, and engraver's script is considered by most to be the mother of all pointed pen hands. It still stands as one of the most recognizable and high demand design elements in pointed pen calligraphic works. In this course we will go over a concise version of its history and learn to use dip pens in order to form the basic strokes of its construction. This course is geared towards beginners but those with more experience may attend it as a refresher course (plus it's always nice to have experienced attendees help beginners). The class is $45 and there is a additional materials fee of $20 for holders, nibs, handouts, and papers though attendees are welcome to bring their own supplies. I also encourage attendees to bring a ball pen, pencil, and ruler with them. Sketching with a Fountain Pen! 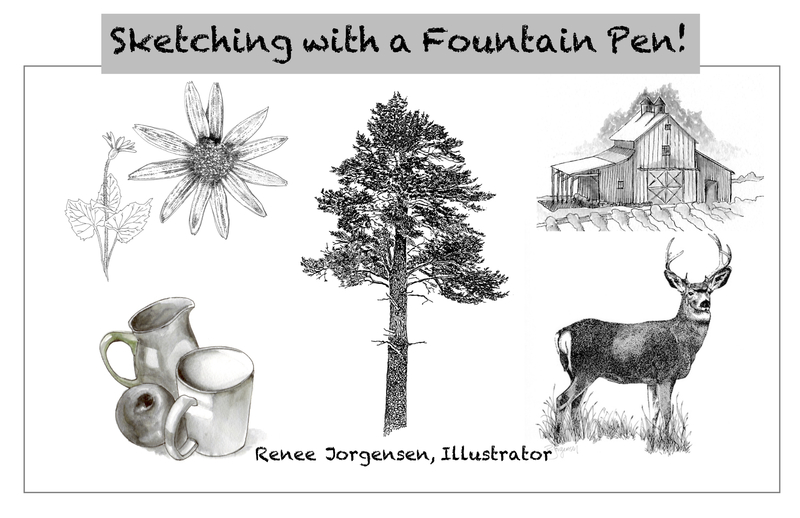 Join artist Renee Jorgensen for an afternoon exploring sketching using a fountain pen. Learn how to start and plan your drawing, and sketch whether working from a photo or actual still life objects. Explore mark making techniques using line, texture and shading using a water brush. You will be introduced to the properties of fountain pen ink, and learn the care and feeding of your pen, and you will soon see that your simple doodles will become drawings on a whole new level! Any fountain pen will do! It doesn’t matter if it is one of your old favorites or you just picked it up at the show, let Renee Jorgensen help you discover the joy of drawing with a writing point. Don’t own a fountain pen? There are plenty to choose from at the show, remember, any pen will do! As a calligrapher and illustrator, Renee's background includes degrees in commercial art and graphic design. 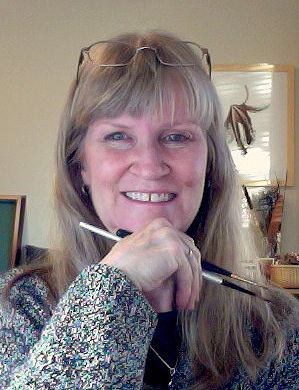 She holds a certification in botanical illustration, and is certified as an American Cursive Handwriting instructor. She currently teaches scientific illustration for the School of Botanical Art and Illustration at the Denver Botanic Gardens. 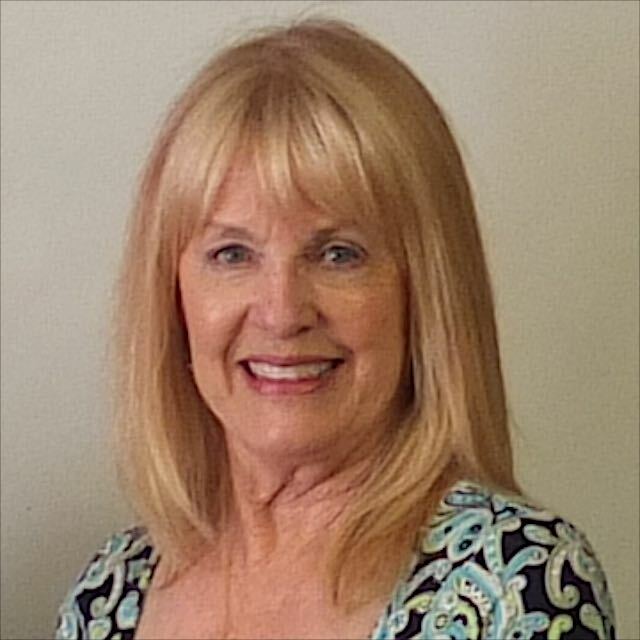 Renee is the owner and primary instructor at 'Brush & Quill Arts' in Wheat Ridge, Colorado. You can read more about Renee and her work in the February 2018 edition of PenWorld! It is a long-held belief that trauma and tragedy leave their marks on the physical world and for nearly two hundred years the pen has let people record those moments which have most impacted their lives. Join sometimes magician and always pen geek, Dirk Anderson (née Slight of Hand), on a journey that celebrates the Colorado Pen Show and October, that spookiest and most magical of months during which the show is held. You’ll never look at a pen – or Dirk for that matter – the same way again. Michael Sull and Nikola Pang will be hosting a special showing of select prints from the Horace G. Healey collection, a subset of the Zaner-Bloser, Inc. / Sonya Bloser Monroe Penmanship Collection. Come hear the history of the collection, view the prints and enjoy commentary on the works by Michael and Nik. Since both Michael and Nik will be there, you can bet there will be some pen-related-mischief taking place too! Tom Baley presents a quick history and timeline of the original Pelikan Company, manufacturer or dyes and printers' inks through the metamorphosis to an office supply company and early ink company to the first pens in 1929 up to World War II. Tom presents the various lines of pens, types of materials, and the effects of material shortages during WWII. Come to see the hundreds of pens he brings for illustrations along the way. Join me in learning the beautiful, classical, forms of Italic script! Cancelleresca, or Chancery hand, came about from a marriage of humanist and Roman forms and really hit its stride during the period we know as the Italian Renaissance. These scripts were so popular in their multitude of variations that they quickly became adopted by both the church and became adopted throughout the old world as a standard. This widespread use lead the slanted, broad pen, script to such renown that, even today, we still call many small broad nibs "italic". Classically beautiful, flowing, very nearly ideal in readability and highly refined through the ages it's no wonder that Italic is still considered by a large number of calligraphers and typographers to be a "perfect script". In this course we will focus on the history, forms, and execution of creating classic (and perhaps a few contemporary) Italic hands. The course will cost $45 and there is an additional materials fee of $20 for holders, nibs, ink, handouts, and other materials though attendees are invited to bring their own supplies if desired. I encourage attendees to bring a ruler, pencil, and ball point with them. To register, email the instructor directly at Nik@entropy.ink To ensure participants get personalized attention, class size is limited. Signing up beforehand is recommend but not required. Come join Michael Sull and learn the basics of Spencerian Penmanship! In this hands on workshop, Michael will provide you the tools, history and personal instruction to help you begin your own journey with Spencerian penmanship. To register, contact Michael directly at Michael@Spencerian.com or (913) 219-1819. Class size is limited to 20 participants so sign up early!